May 27, 2017 By Morgan M Woods Leave a Comment This post may contain affiliate links. 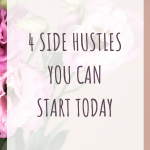 I’ve developed this matched betting guide as it’s one of my favourite side hustles. The best thing about matched betting is that it’s tax and risk free. 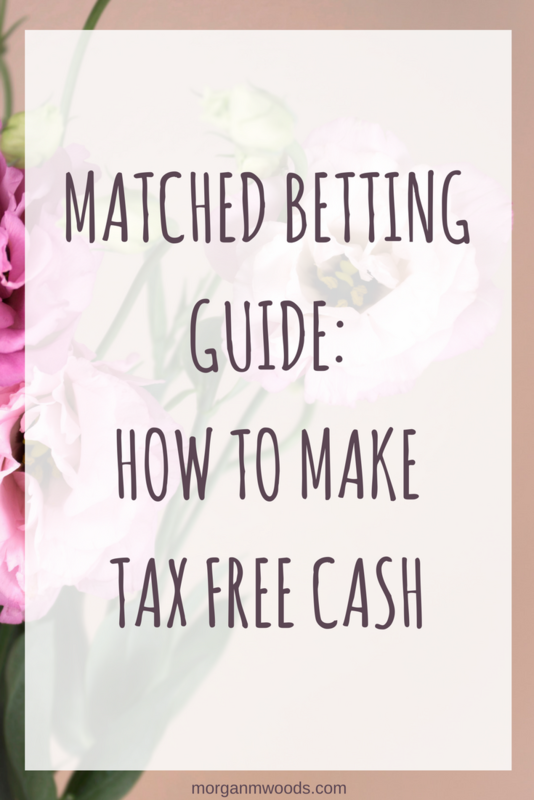 I hope this matched betting guide proves useful to anyone looking into getting started. 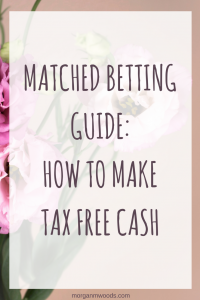 It can be daunting when you first start looking into matched betting so this guide should help. Matched betting is a fantastic way to make extra tax and risk free money from home. It may sound a little confusing to start with but once you get started it makes a lot more sense. Matched betting is where you place a bet with the bookmaker/betting site, then you ‘lay’ the bet on the exchange. These bets then cancel each other out. Therefore we don’t care if our bet wins or loses because we have covered ourselves either way. So to break it down..
I’m then covered either way and I don’t care if my bet wins or loses. How do you make money matched betting? The way we can profit off of this is by utilising the free bets that the bookmakers offer to entice you in. You’ll often see offers such as ‘deposit £x and receive a free bet of £x’. They often come with different wagering requirements so always be sure to read terms and conditions. You’ll usually have to place whats known as a ‘qualifying bet’, this is a bet which will enable you to get your free bonus. Then you will need to place a bet with your free bet to make a profit. You place your qualifying bet at the bookmaker for England to win. You then place your lay bet at the exchange Against England to win (covering them to lose or draw). Then you will receive your free bet from the bookmaker and you will need to place this as another bet as shown above. Your profit works out at roughly 80% of the free bet, so if the free bet was £20 you’ll make around £16 profit. If you’re still really confused by all this but want to give it a go I really recommend signing up to profit accumulator. Their website literally does all of the hard work for you. They have new daily offers, matched betting calculator and find all the best betting matches for you plus much more. The training video archive and forum are also really useful tools. 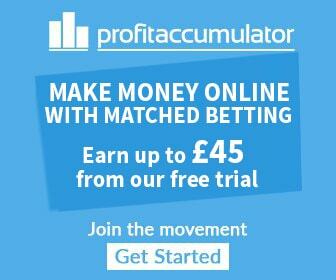 Profit Accumulator currently have a free trial with 2 sign up offers worth around £45. The platinum membership costs just £17.99 a month which pays for itself. After doing the trial myself I went in with the monthly plan straight away. They do have a 30 day money back guarantee, so if you decide you don’t enjoy it or you just don’t have the time you can get your money back or cancel at anytime. My experience with profit accumulator has been fantastic and I know that I couldn’t have started matched betting without them. How much money can you realistically make matched betting? 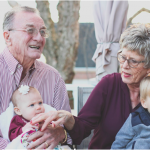 Well this all comes down to how much time you have, and how big your float is but these are the timescales profit accumulator recommends as a general rule of thumb. I would agree with this, as I tend to put in around 15-30 minutes a day and my average profit is between £300-£500. The minimum amount you can realistically get started with is £60, but if you have the extra cash available I would recommend starting with £200+. The more money you have to start with, the easier and quicker your profits will grow. You don’t need to worry about losing your money because this isn’t gambling remember, your money is safe. This isn’t to brag about how much I’ve made, but rather to show you that it works and motivate you. I came across matched betting in November 2016, we literally had no money and christmas was on the way! I took my free trial with profit accumulator, £60 from my overdraft and ended up making £300 that month (after I had signed up for the platinum membership). Ever since I’ve continued to build up my float and I now make an average of £500 each month matched betting. Matched betting isn’t for everyone, if you don’t trust yourself to stick to the system or you think you’ll start betting your own money then I would advise you stay away. However this is a great way to make extra tax free cash online and can be a big earner for you. Matched betting has now become one of my favourite side hustles to make regular extra cash each month. Let me know if you have any questions or comments about matched betting.